Okay I had to do it. Three posts in one day! After shooting at Cottesloe Beach I saw this cruise ship heading into Fremantle Harbour so I headed down to Fremantle to capture her on her way in. 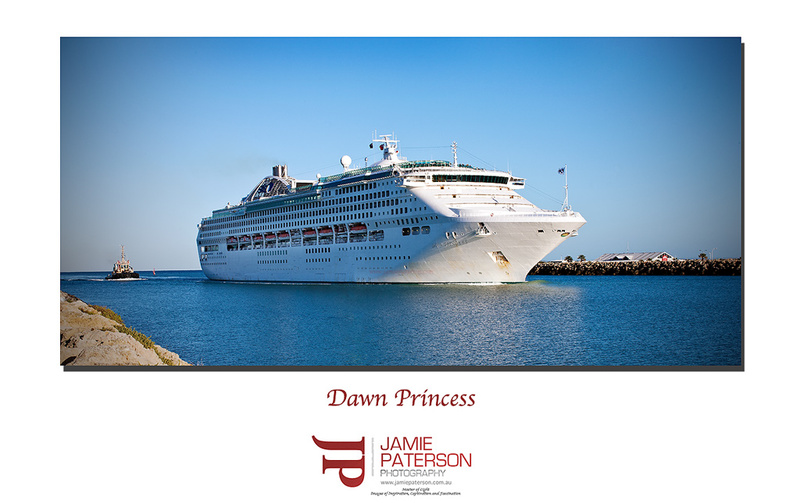 Her name is the Dawn Princess and she certainly looked really amazing nudging her way through the heads. Shooting from air can be quite addictive. Its a point of view many of us don’t get to see on a day to day basis, to look down and see the world ticking along doing its thing while you’re free in the air is a very cool feeling. 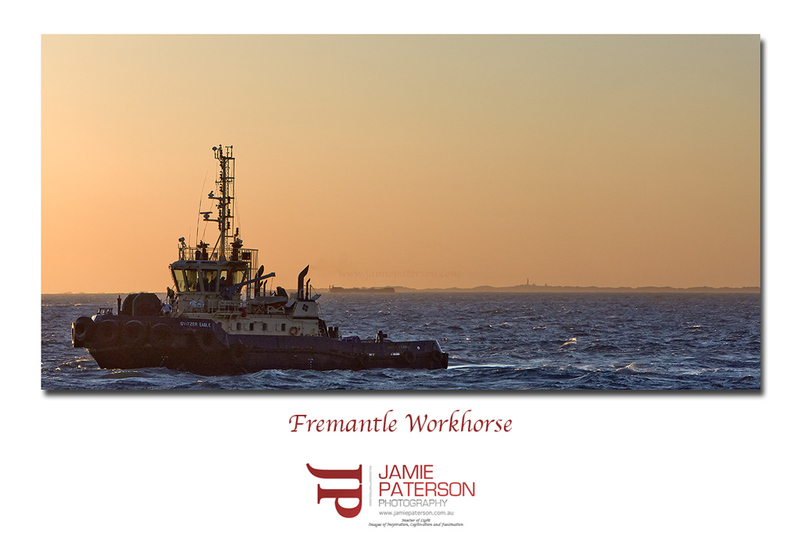 On my way out to Rottnest I got the pilot to transit over Fremantle Harbour so that I could grab some shots of the ships in the harbour. 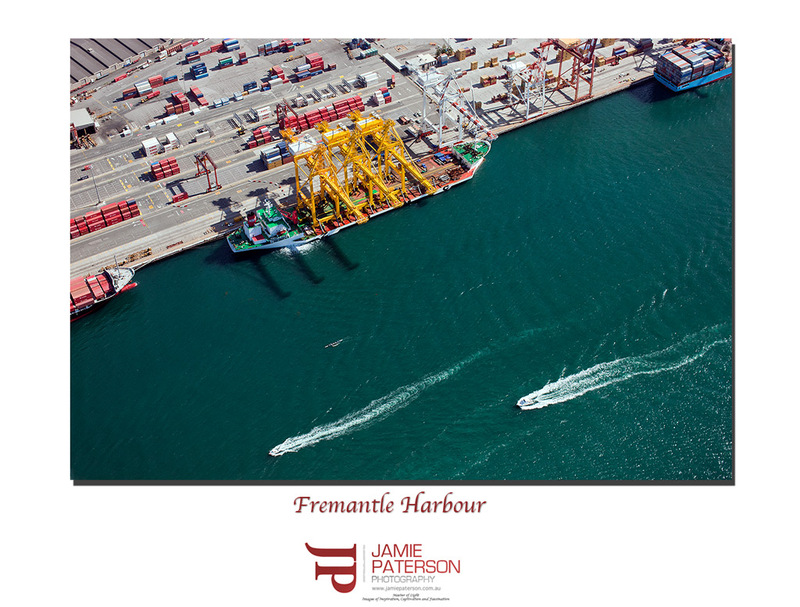 I was actually really surprised to see a rowing boat in the harbour next to the ship when I viewed this photo at 100%. Talk about brave! If you’ve never shot from the air do yourself a favour and charter a helicopter and do some shooting! Its heaps of fun.